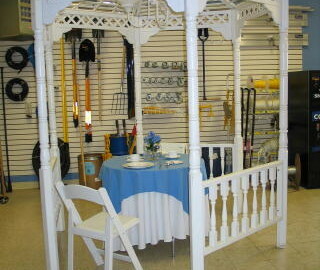 Our gazebo is large enough for the bride, groom and officiant. Or, use with a 36″ round table and two chairs for the couple’s table. There is a separate installation charge.